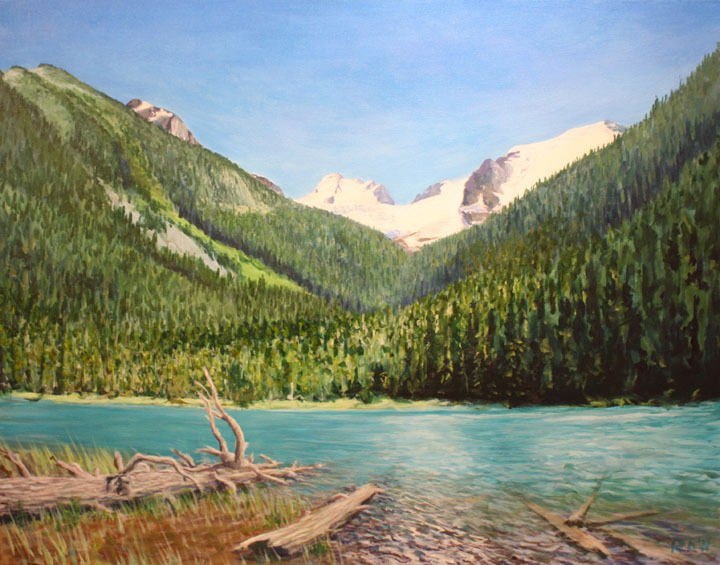 A painting of a great spot north of Pemberton on the Duffy Lake Rd. There are three lake in here as they go up to the glaciers. The water really goes this color just like Lake Louise in Alberta but this is BC.